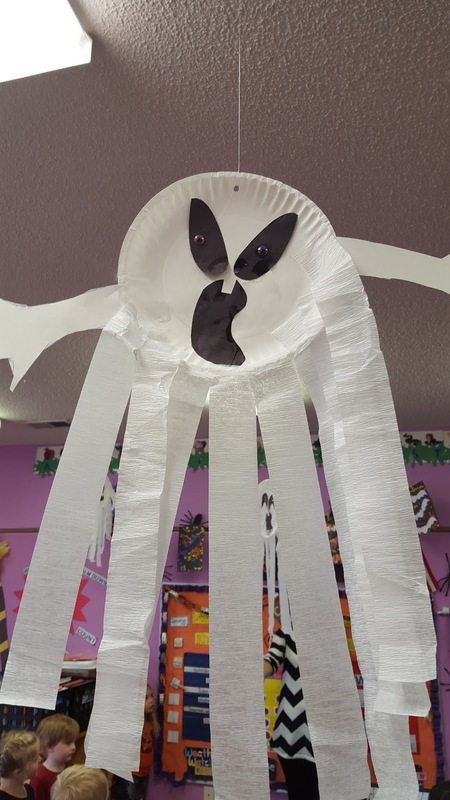 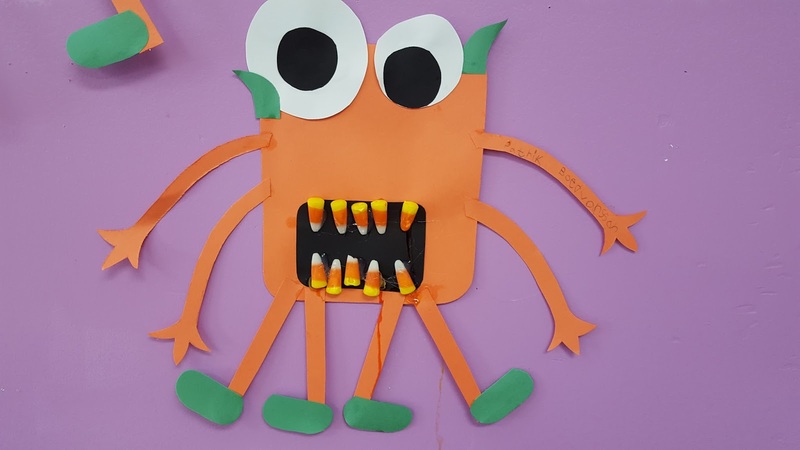 We are having fun with pumpkins, bats, ghosts, monsters, and more! 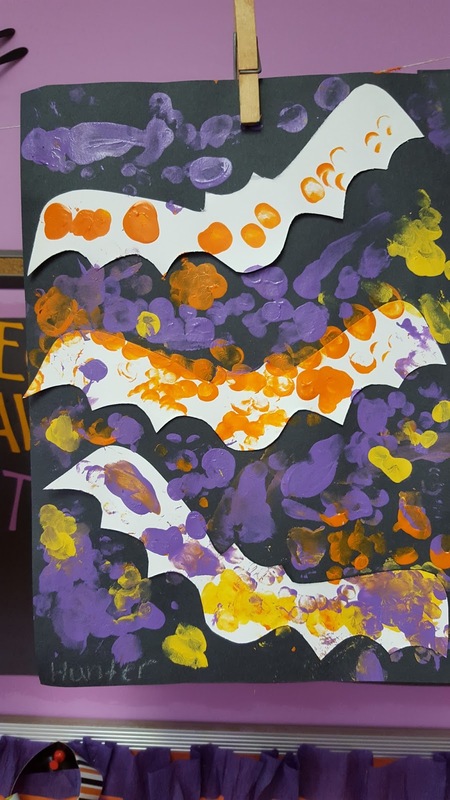 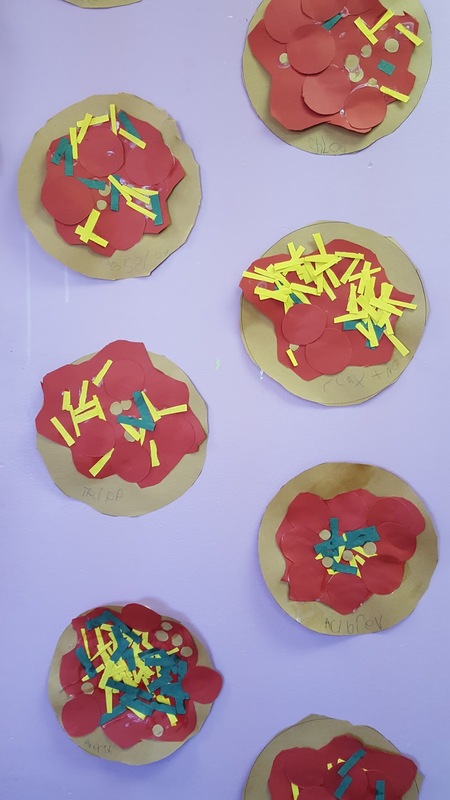 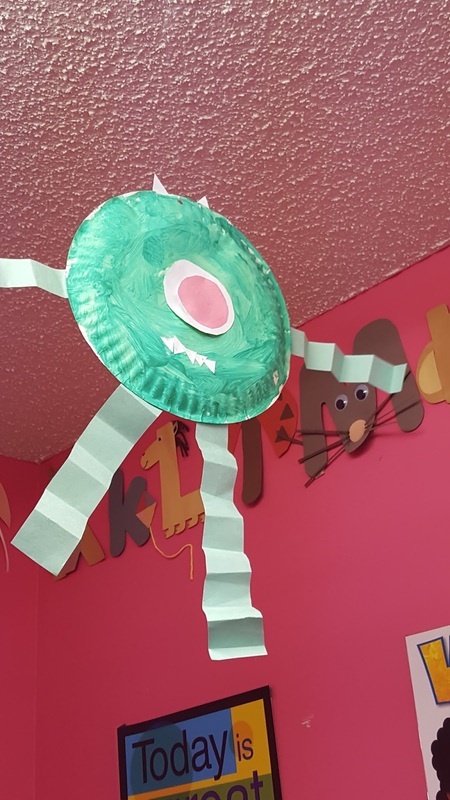 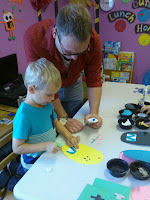 We've made some adorable art projects this week to decorate our rooms. 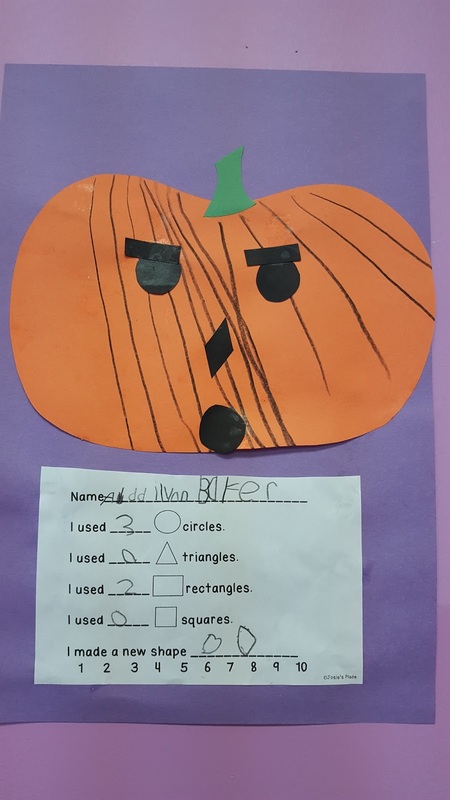 Pre-K did a neat activity where they decorated their pumpkin and then identified the different shapes they used. 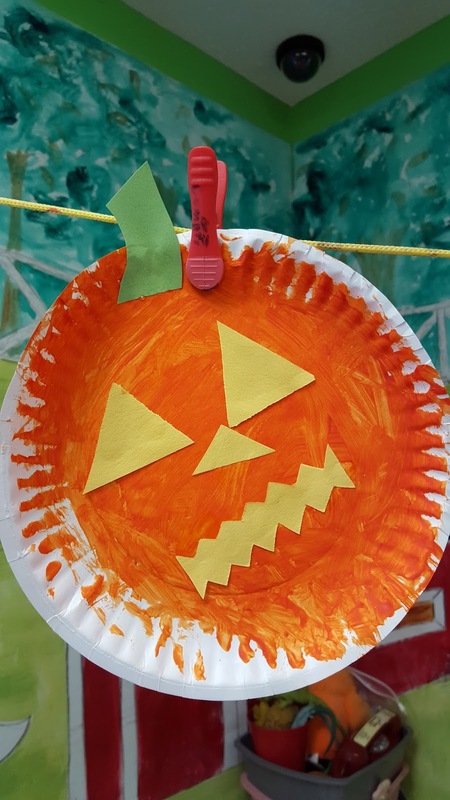 Of course, the week would not be complete without exploring the insides of a pumpkin! 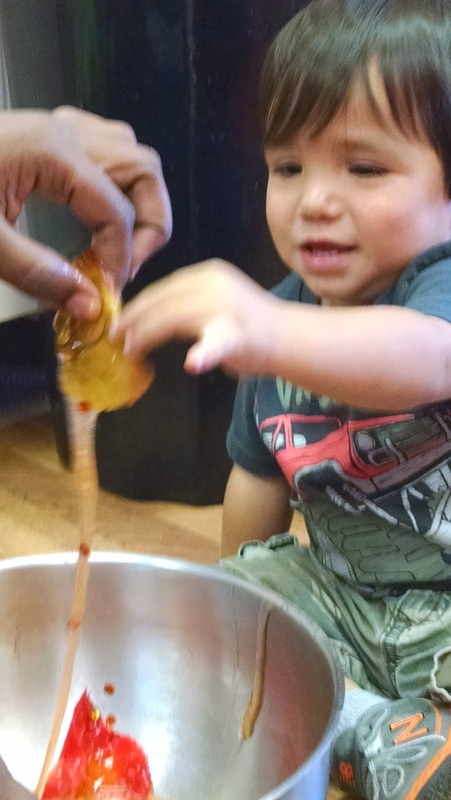 It's always so funny to see which children are ready to get their hands dirty and those that are terrified of the mess! 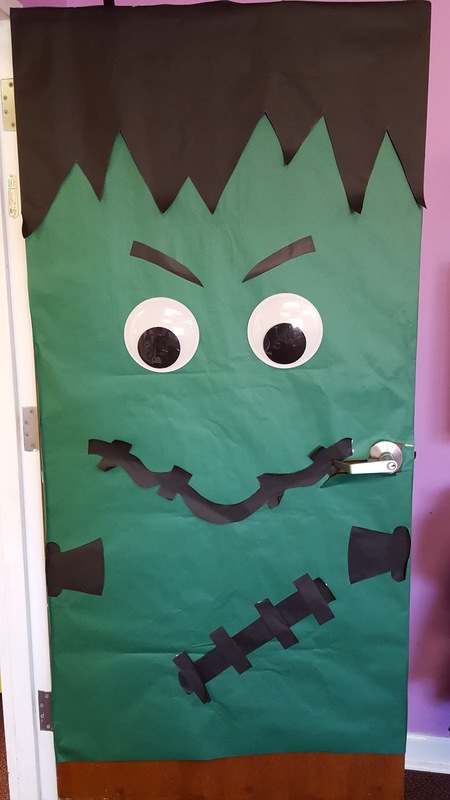 Our teachers are doing a fabulous job with decorating the school! 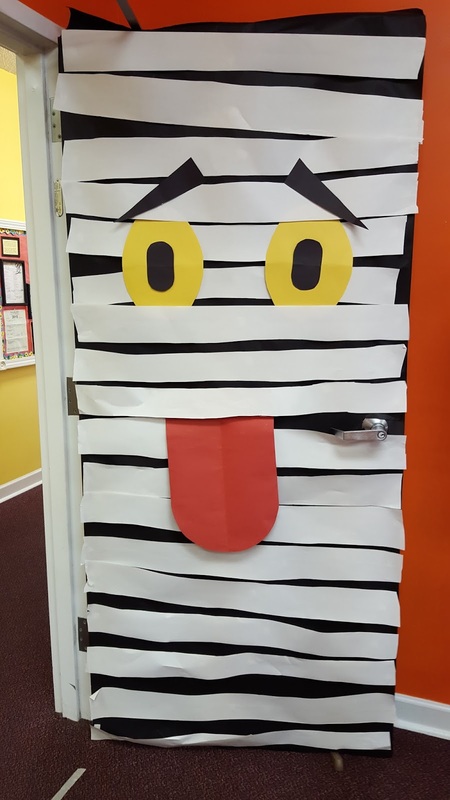 I love these two festive doors! 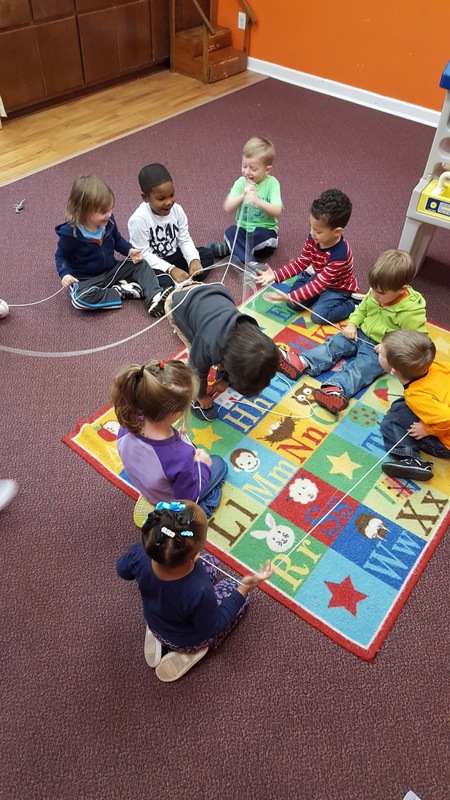 The 3 year olds had fun trying to escape a giant spider web as a movement activity! 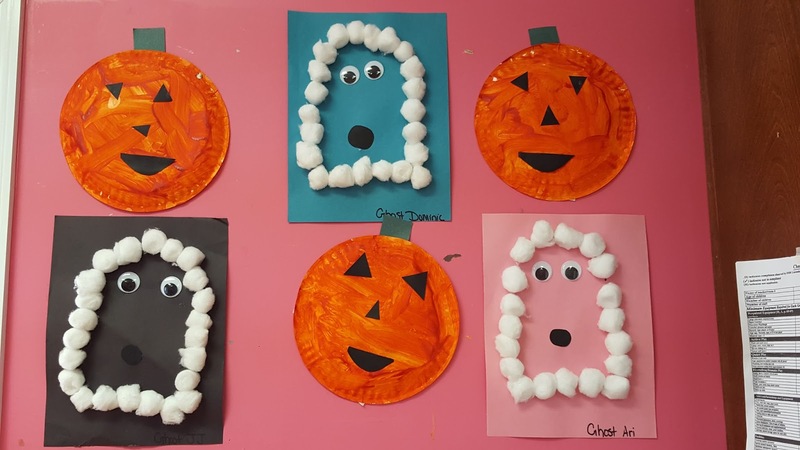 Each classroom decorated a pumpkin for us to put out on display in front of the school. 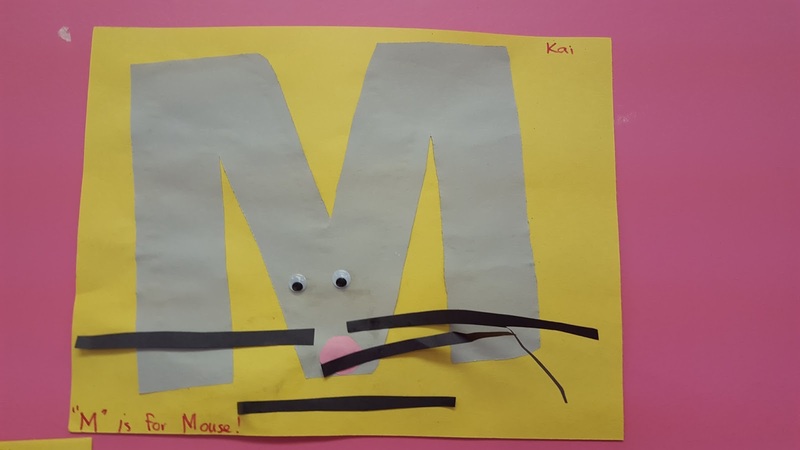 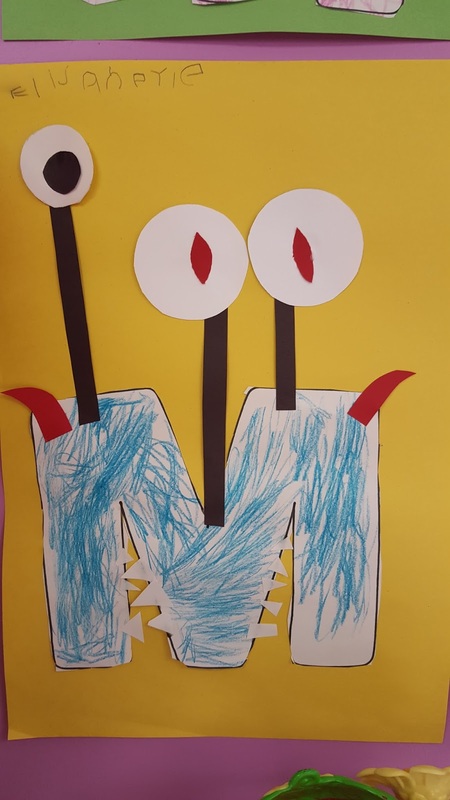 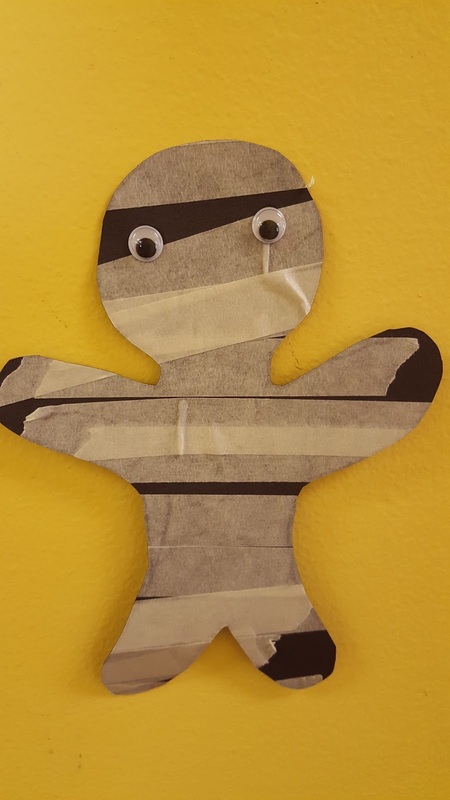 For the letter of the week, we made monsters, mummies, and mice! 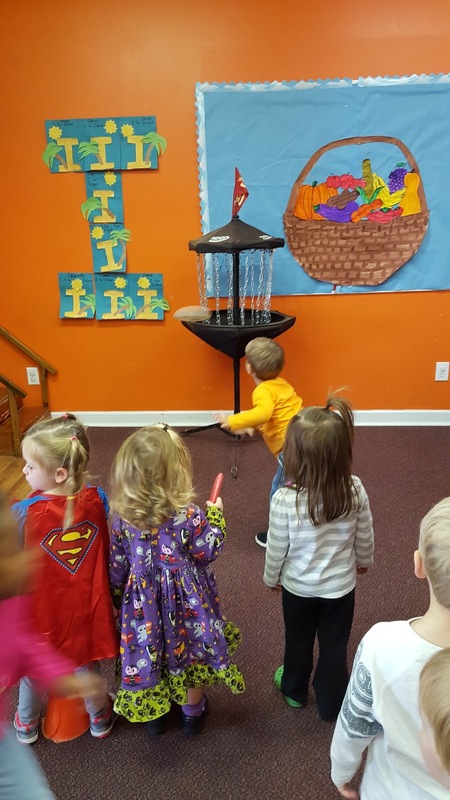 Friday morning, we started the day with Pumpkin Rotations. 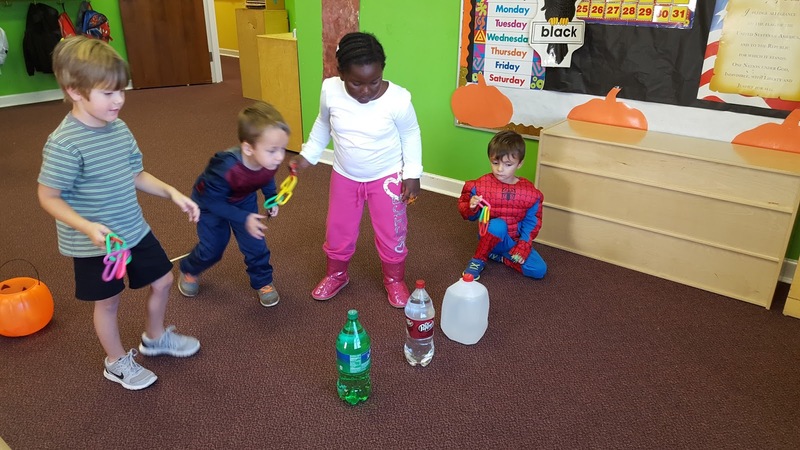 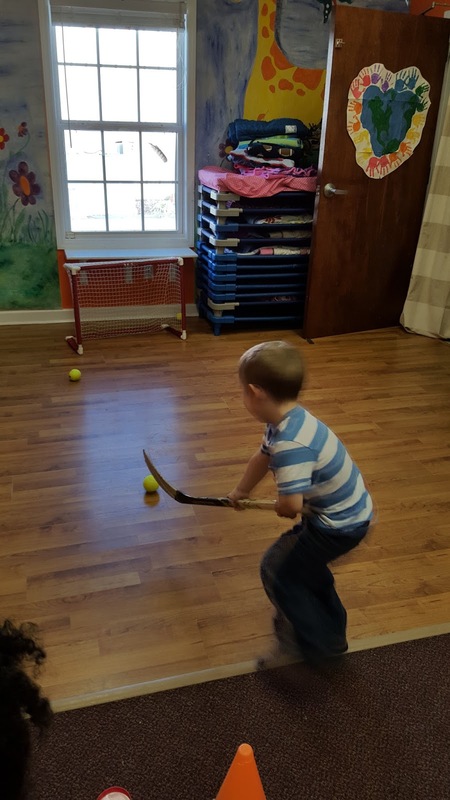 The children moved from one class to the next and did a different activity in each room. 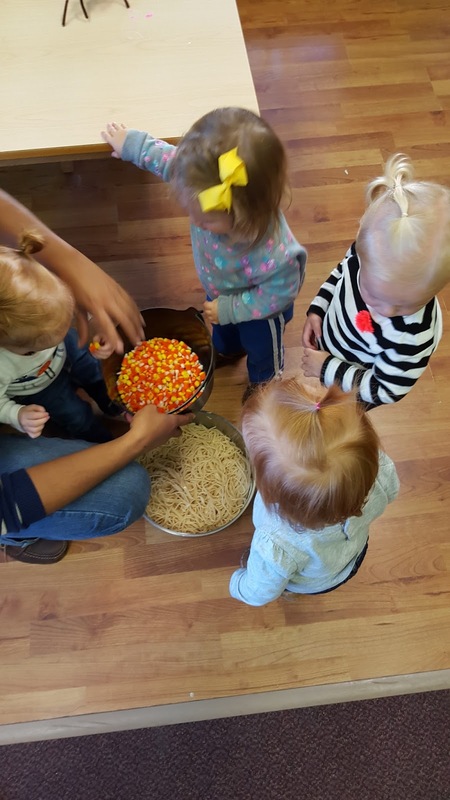 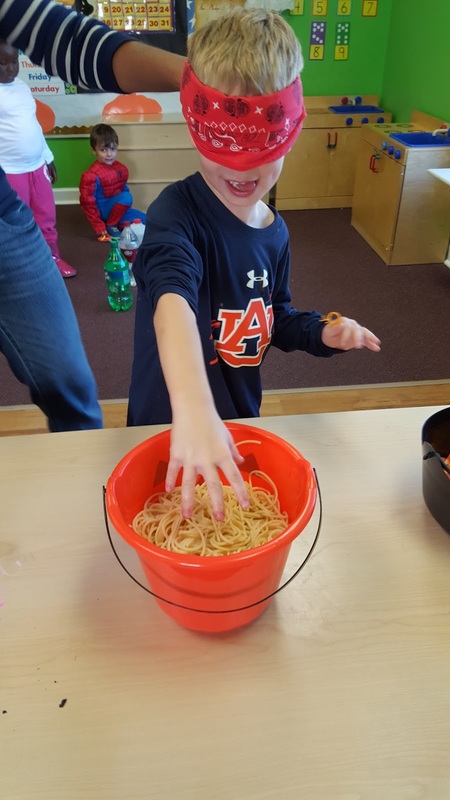 We had a pumpkin toss, pumpkin playdough, inflatables, creepy sensory bins, cookie decorating, and games! 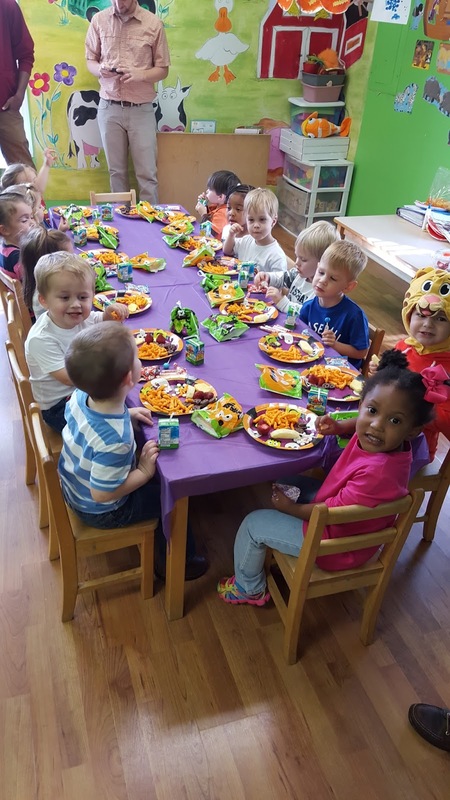 The children had a great time! 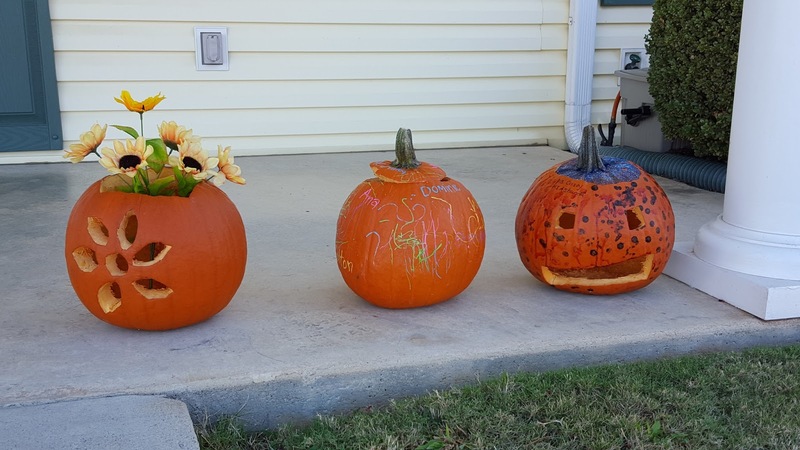 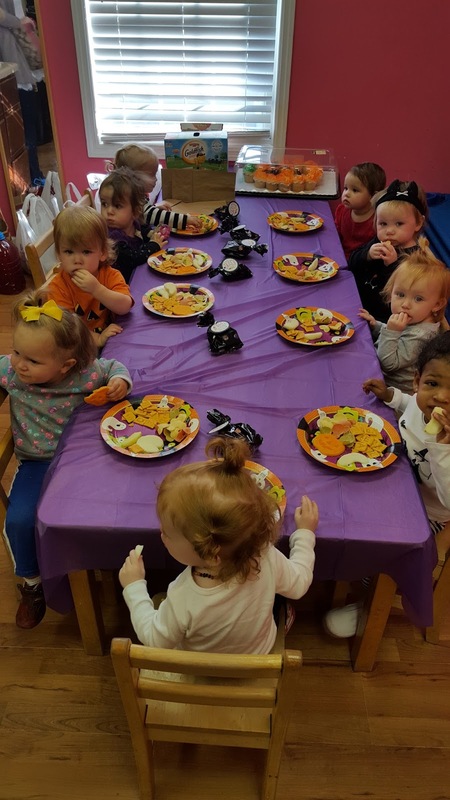 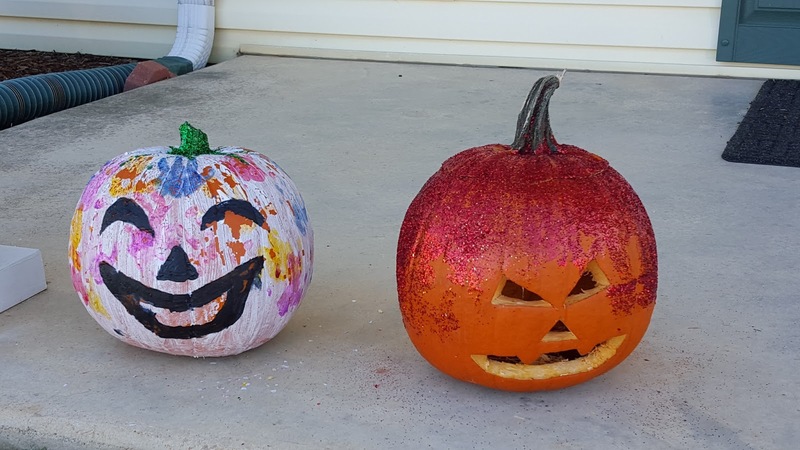 At the end of the day, we had our Pumpkin Party! 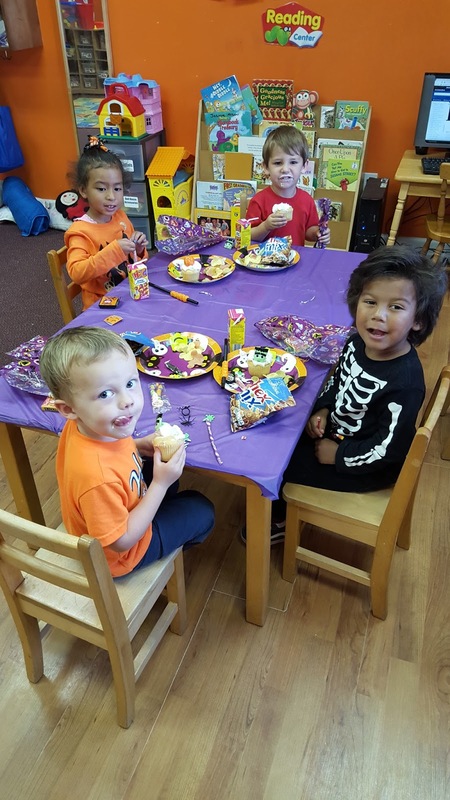 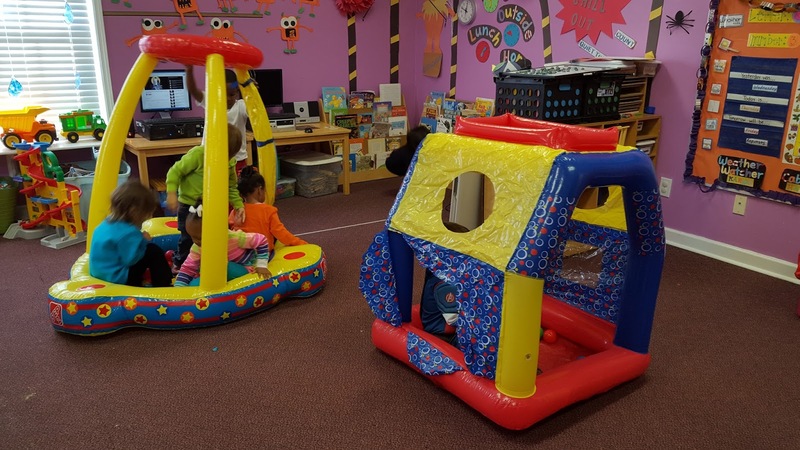 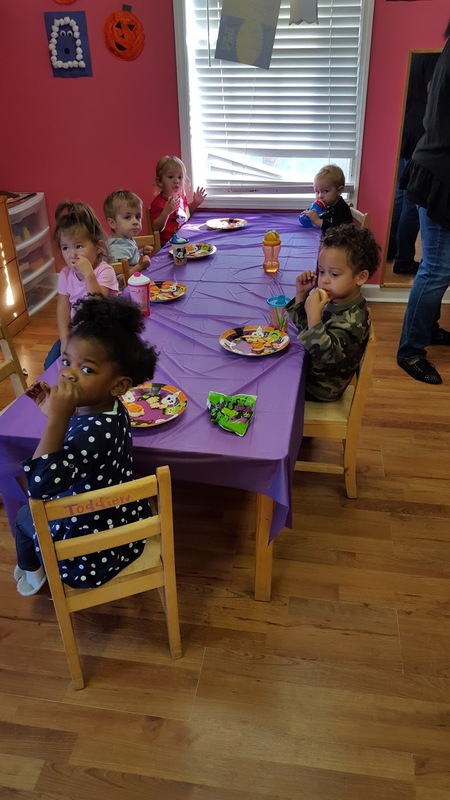 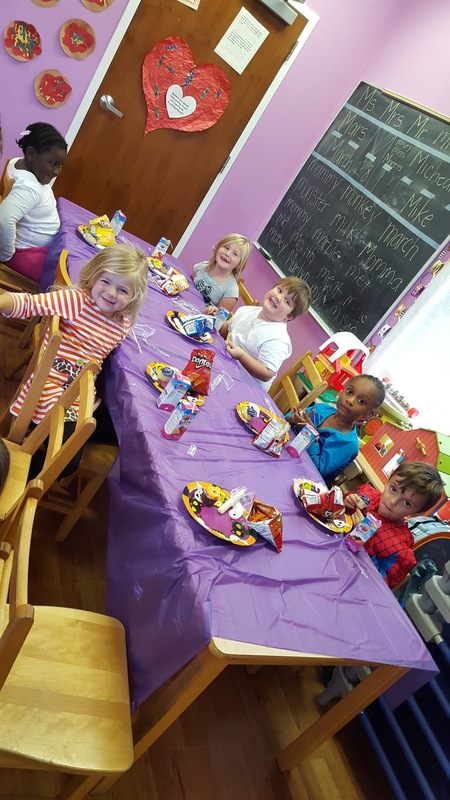 There were so many yummy treats and fun activities for the children to do! Thanks to all of our parents that joined us! 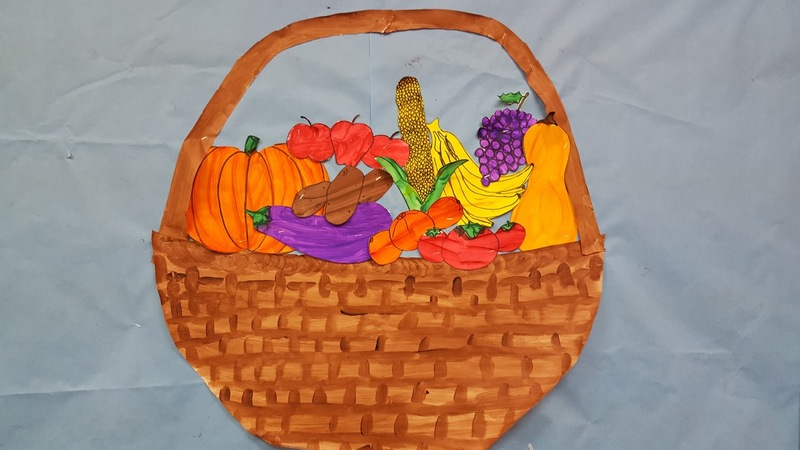 Before we eat all kinds of candy next week, we are learning about Nutrition and Health this week! 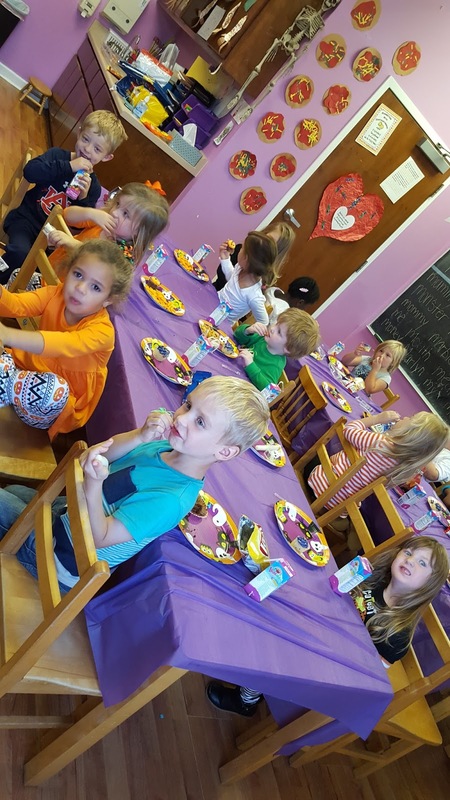 Of course, that also means we had some fun talking about yummy foods too! 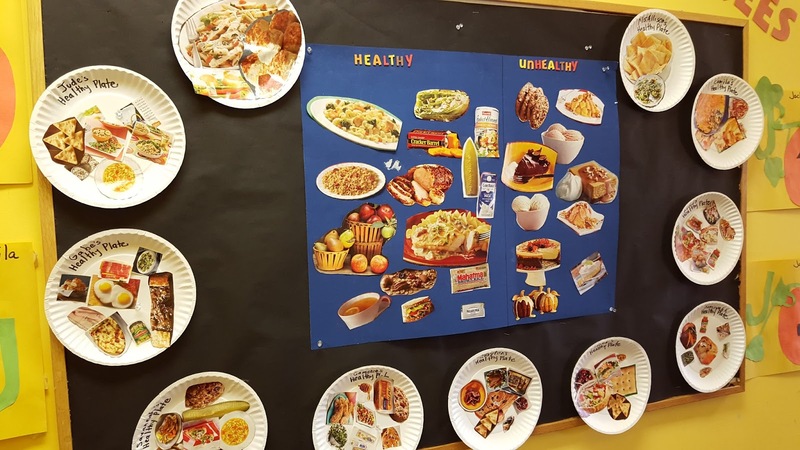 The children learned a lot about different foods by sorting them and also identifying if they were healthy or unhealthy. 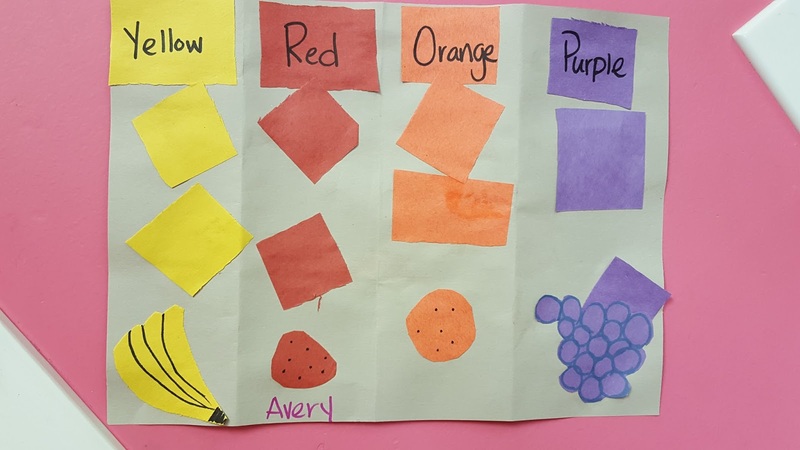 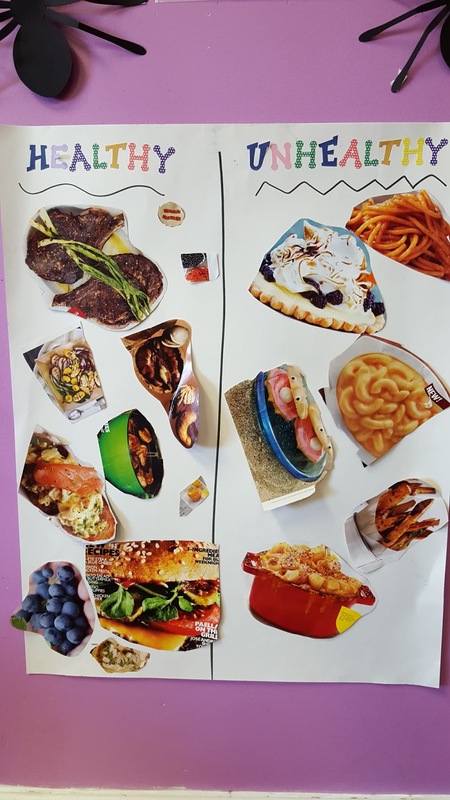 One classroom even talked about making a plate that had the right portions from each food group! 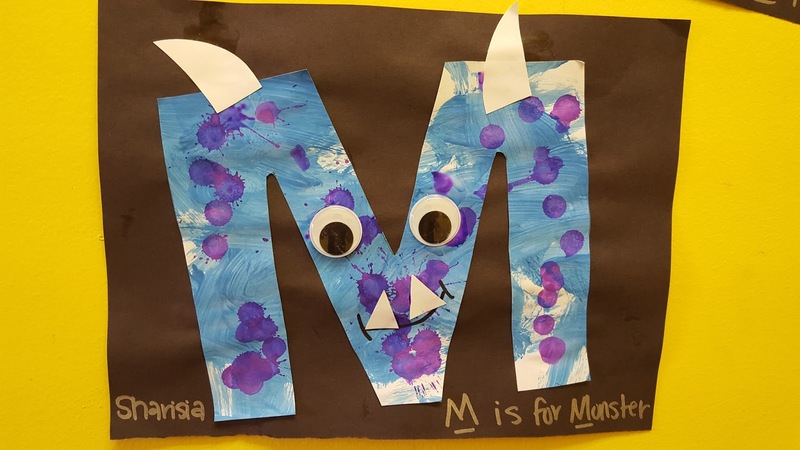 Our letter of the week was "L". 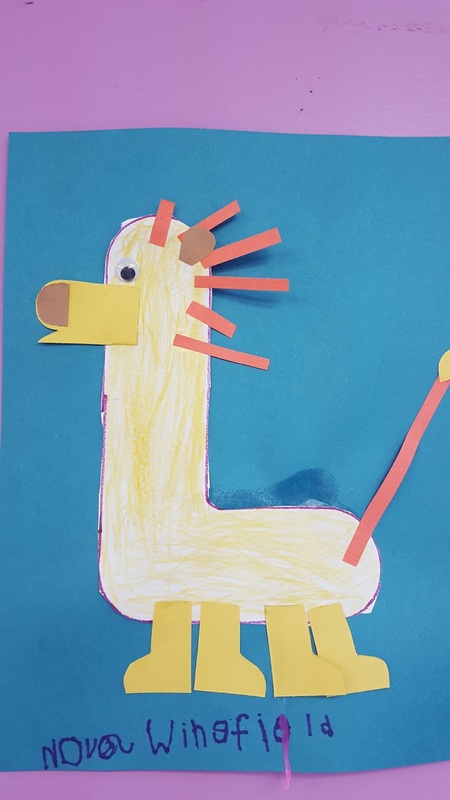 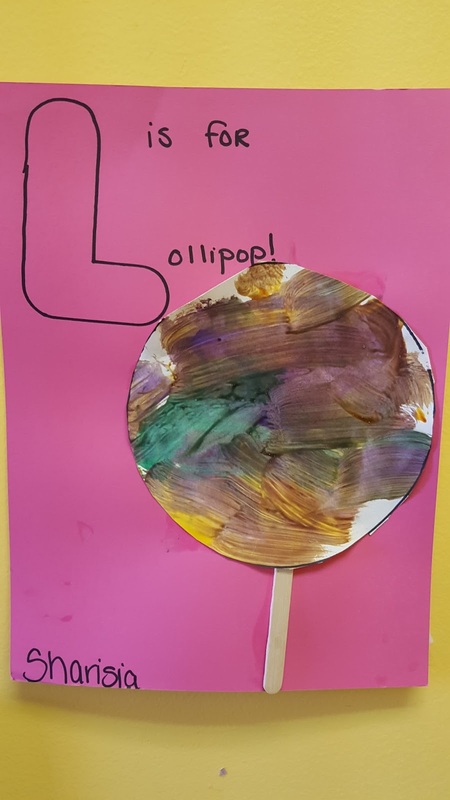 Some classrooms made "L is for Lion" while other made a lollipop! 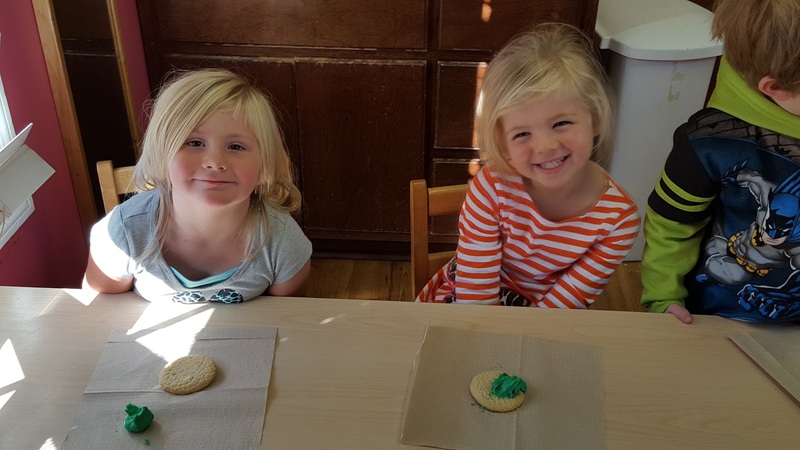 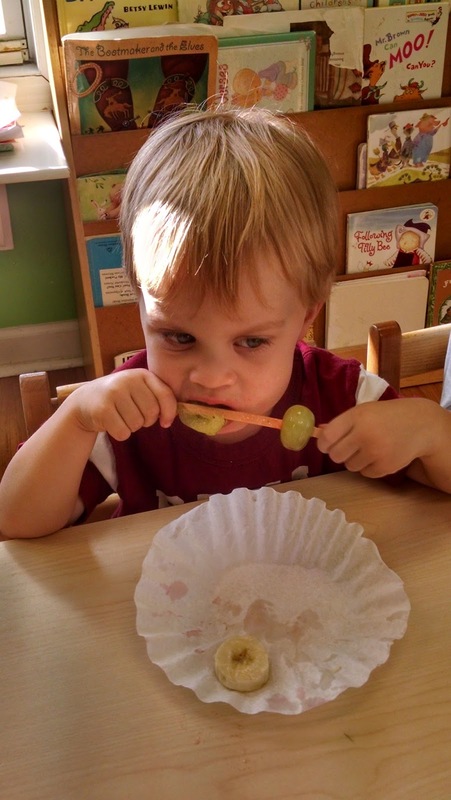 For our cooking project, we made a healthy but yummy afternoon snack! 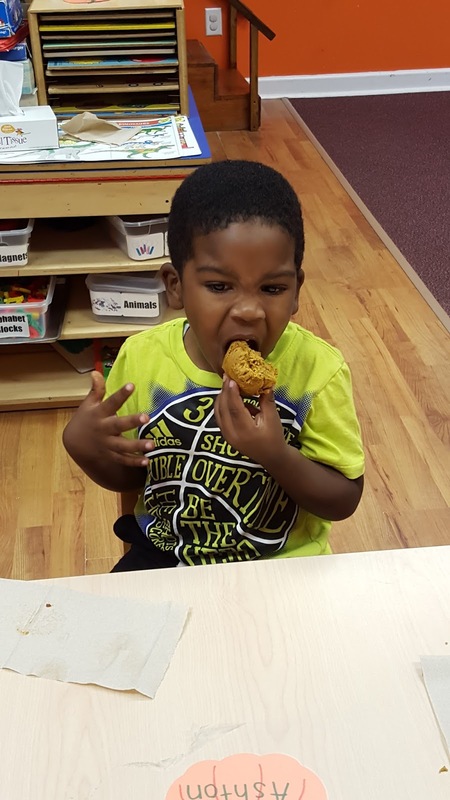 The children seemed to really enjoy the muffins! 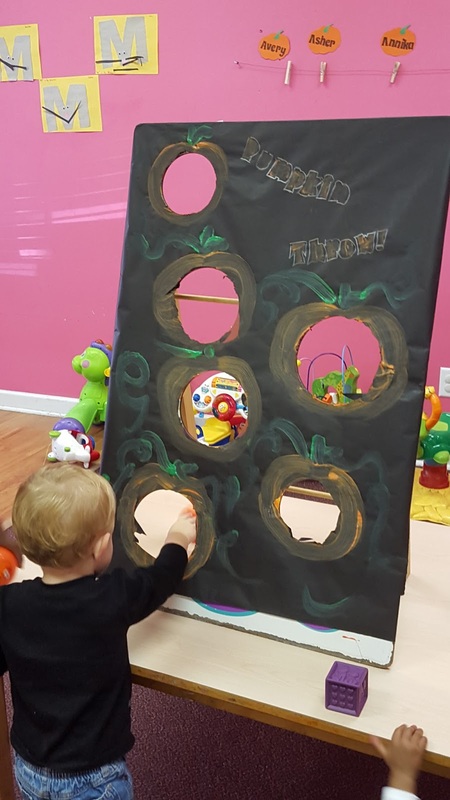 We are falling into Fall at Sunflower Station Preschool! 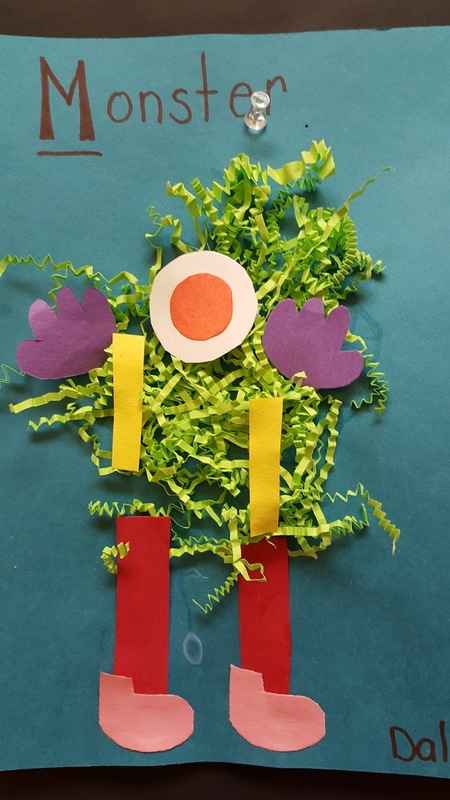 To kick it off, the Toddlers each made a scarecrow that looked like them- they were so cute! 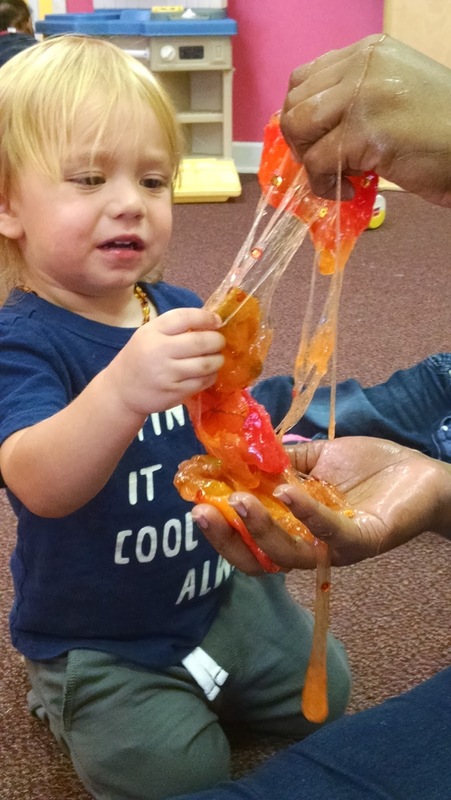 The Waddlers made Fall Slime! 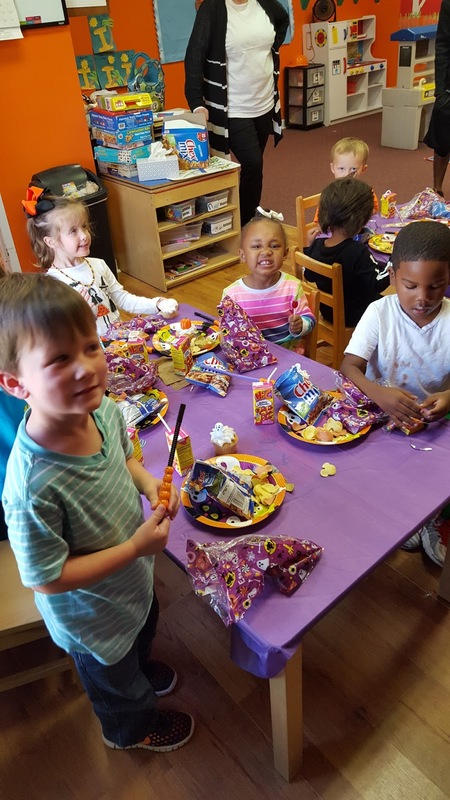 Their faces and reactions were so funny! 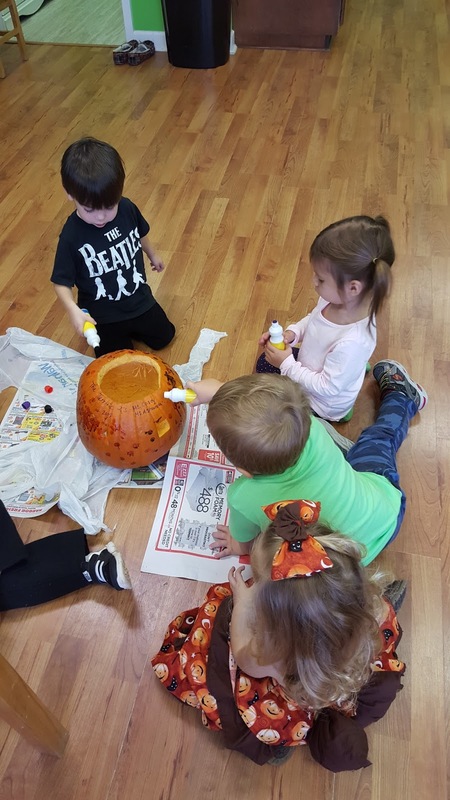 Some of them really liked it while others weren't so sure about the slime! 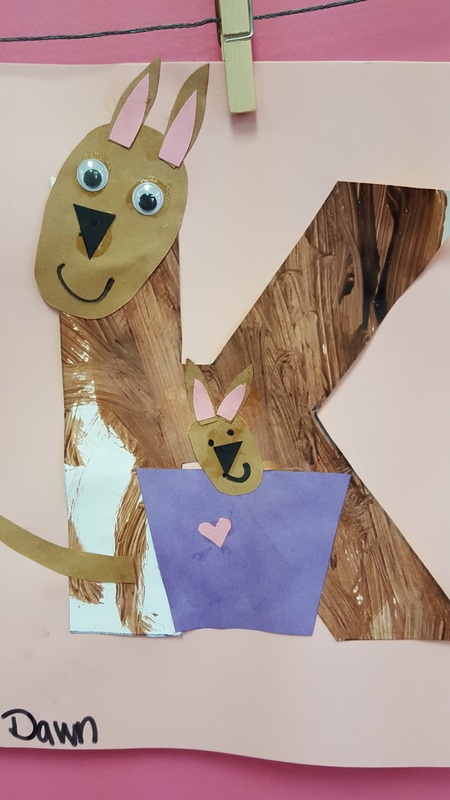 For our letter of the week, we made Kicky Kangaroo Kabobs and "K is for Kangaroo"! 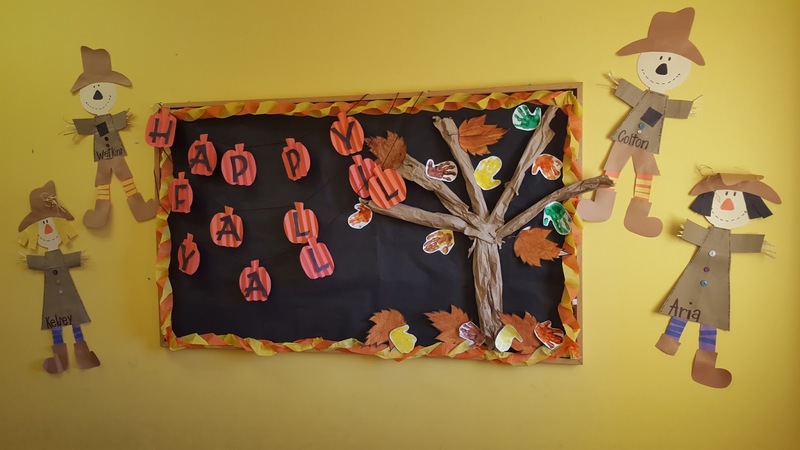 The hallway is transforming into Fall as the Bulletin Boards begin to change. 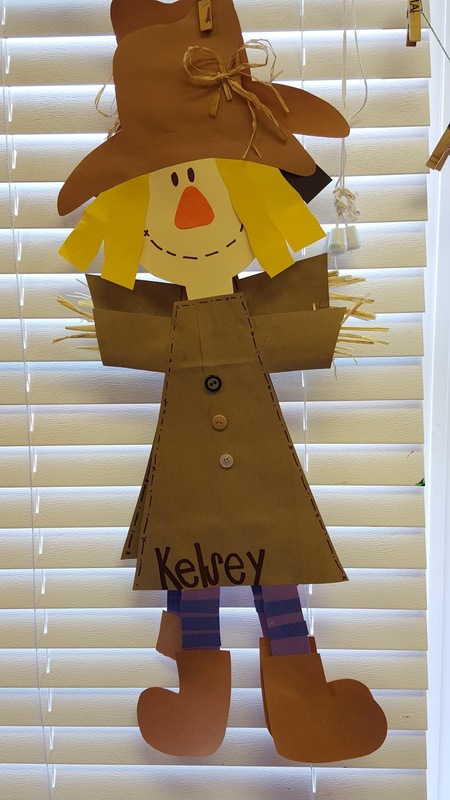 The scarecrows are just so cute!